If you are seeking to improve the look of your lawn, grow your own garden, discover supplies for your pets and more, then you have found the right place! 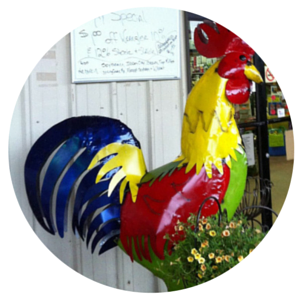 Crossroads Feed & Seed carries an immense variety of supplies for all your outdoor needs. From a plentiful selection of seeds, plants, animals and fertilizers, you will never be lacking in options. Bird Baths & Outdoor Decor! Why Choose Crossroads Feed & Seed? Because we are like one big family! When you come through our doors, we always greet you with a warm, welcoming smile. We're happy to show you around and help you find everything you need while having fun! If you have any questions, feel free to call us at (601) 772-9497!